Showing results for tags 'mystery dungeon'. Pokemon Mystery Dungeon explorers of sky save? Seeing as the PMD games weren't mysterious enough, I made a randomizer for them. This program randomizes the following aspects of the game: Pokemon Attributes Abilities Move learnset Typing IQ Groups [*]Dungeon Attributes The pokemon that appear in each dungeon The items that spawn in each dungeon The terrain appearance of each dungeon The music of each dungeon [*]Starters These options can all be enabled and disabled independent of each other. The Randomizer currently only supports Explorers of Sky (US), but I am working on support for more versions in the future. Downloads: v0.10.1 Screenshots: https://imgur.com/a/93pVI https://imgur.com/a/rsku1 Notes: Certain pokemon, such as legendaries and unown, are untouched by the randomizer for either mechanic or progression reasons. Planned features: Writing all the randomizations to a text file for easy viewing Weather Add option for randomized moves to be baised towards pokemon type/stats Support for more game versions! (possibly even GTI & PSMD) Known bugs: None! yet... This tool requires Visual C++ Redistributable for Visual Studio 2015 to run. You can see the source Here Please report any bugs you find! Special thanks to: OgreGunner & nhahtdh of GameFaqs - Major research on where dungeon data is stored. psy_commando & evandixon of Project Pokemon - Research on pretty much everything else about Explorers of Sky, creating the wiki page for it. vadixidav - Helped a lot with some of the coding. Please be sure to hide any PSMD spoilers within spoiler tags, until the game is released in all regions ! About This Thread: This thread is mostly for posting on-going research notes/progress and findings for the Pokemon Mystery Dungeon Gates to Infinity and Pokemon Super Mystery Dungeon games. Both games use very similar formats, and work generally the same way, which is why they both share the same thread. Information: Here are links to interesting posts in the thread, and to external websites. How to extract PMD:GTI rom's content How to batch decompile the lua scripts A nice little cheat sheet + Lua primer for those interested! Lua 5.1 experimental sandbox escape exploit Notes: Here are some links to notes, or to the wiki on the various file formats and etc of the games. SIR0 format Megadrifter's notes on the IMG format Utilities: Here are some utilities for dealing with the file formats in PSMD/PMD:GTI : ... Current Problematic Issues: Here are some of the things that are currently holding us back right now: No way to test modifications/investigate on a 3DS/emulator. My 3DS isn't unlocked. So having someone with one willing to try things out would be nice! (EDIT: Actually,thanks to ironhax I can run homebrew on it now But not much else ) This post will fill up as time goes. My idea basically combines a favorite franchise of mine with a genre of gaming that I personally love. For a while, I have wondered what a zombie apocalypse would be like in the Pokemon universe. Would unaffected trainers have to search for un-infected Pokemon? Would wild and captured Pokemon be forced to slaughter re-incarnated humans? When thinking, I had one problem. Would a zombie virus infect the Pokemon, or the trainers? Then it dawned on me; a realm where only one of those factors remained was already around. The Mystery Dungeon spinoffs. And the idea of Explorers of Life was thought up. I am willing to let others make the ROM, I only make ideas. It would start like Explorers of Sky, with the quiz, followed by the aura thing. You awaken on a beach, thinking you're still a human. Your partner(:creep:) arrives and things get different. A single Krabby is making bubbles as a signal for surviving Pokemon. :creep: sees you, sets down a bag of supplies, and asks "What kind of idiot are you?! Just lying in the sand like that!" You tell :creep: that you're a human, and partner says, "You really are an idiot, you're just a (starter)! ... Well, what's your name, I can't keep calling you idiot." You say name, looters (Koffing and Zubat) steal :creep:'s supplies, you get them back after a very small amount of pokemon appear in Beach Cave, :creep: takes you to the camp. That's all I have plotwise, other than some notes about a possesed Dialga and a rival camp. This is an idea I came up for a hack of this game, that includes most Pokémon that aren't in any Pokémon Mystery Dungeon series yet. Here I have a list of Pokémon that will be new to the series and the Pokémon that will be replaced. All of the Pokémon being replaced are in Gates to Infinity. (Bar Purple Kecleon). Purrloin (Leafeon) Liepard (Glaceon) Pidove (Vaporeon) Tranquil (Jolteon) Unfezant (Flareon) Throh (Ho-Oh) Sawk (Purugly) Basculin (Eevee (My be difficult due to being a Starter)) Darumaka (Pikachu (My be difficult due to being a Starter)) Darmanitan (Raichu) Maractus (Glameow) Sigilyph (Starmie) Solosis (Swinub) Duosion (Piloswine) Reuniclus (Mamoswine) Vanillite Vanillish Vanilluxe Deerling (Espeon) Sawsbuck (Umbreon) Karrablast (Bagon (May be difficult because it's a plot orientated Pokémon)) Escavalier (Shelgon) Frillish (Wooper) Jellicent (Quagsire) Alomomola (Azumarill (Could be a bit difficult because she's referenced)) Ferroseed (Cranidos) Ferrothorn (Rampardos) Tynamo (Wingull) Eelektrik (Pelliper) Eelektross (Toxicroak) Elgyem (Kecleon (Could be difficult because of being a shop keeper and plot orientated)) Beheeyem (Purple Kecleon (Could be difficult because of being a shop keeper and plot orientated)) Shelmet (Croagunk (May be difficult because he's a main Character)) Accelgor (Salamence) Stunfisk (Pichu) Bouffalant (Dunsparce) Heatmor (Marill (May be difficult because he's a plot orientated Pokémon)) Durant (Azurill (May be difficult because he's a plot orientated Pokémon)) Genesect (Lugia) Unfortunately, not all Unova Pokémon can be added to the series, but I'm willing to switch a few things around. Note that even though Eevee is being replaced by Basculin, that does not mean Basculin will be a new starter Pokémon, and I'll probably replace Eevee with another brach evo Pokémon. mystery dungeon What would you like added on to the mystery dungeon series? Personaly, I would like a little more adventure. Like the hero pokemon (the person playing's charater) getting kiddnapped, or pokemon trying to take over the world. No violence i.e. dying, losing limbs, exc. exc. Any other ideas? mystery dungeon Pokemon mystery dungeon: SOS Forum. Rules Just make sure you specify what games you need rescuing from. Thats all. idea Pokemon Mystery dungeon explorers of time/darkness hack: can this be done? I'm thinking of making a pokemon ROM hack of Pokemon Mystery dungeon: explorers of time/darkness. are there any tools that can help me? 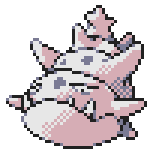 I will need: something to edit text something to edit cutscenes something to change the pokemon personality quiz something that can edit dumgeons/the pokemon in them. anything that can change the boss pokemon at the top of a dungeon something to change the name and number of floors of a dungeon. so basicly, I need links to things that can change...pretty much anything in PMD: EOD/EOT. credit will be given if you want me to credit you in the opening sequence! mystery dungeon Mystery Dungeon or Ranger? Which is your favorite Pokemon Spin-off version for the DS? Vote "Yes" if you liked any one of them. If you vote "no", reply and say why you didn't, as long as it isn't in the below spoiler. Whenever someone states why they don't like it, I will edit it into the spoiler. [Edit]: Hello? Is anyone out there? I made this to compile all the reasons people don't like these games. mystery dungeon Ranger or Mystery Dungeon? ?